While the sunset on a June evening on Islay wasn’t much to speak of, the gloaming still turned out quite nice despite the clouds. 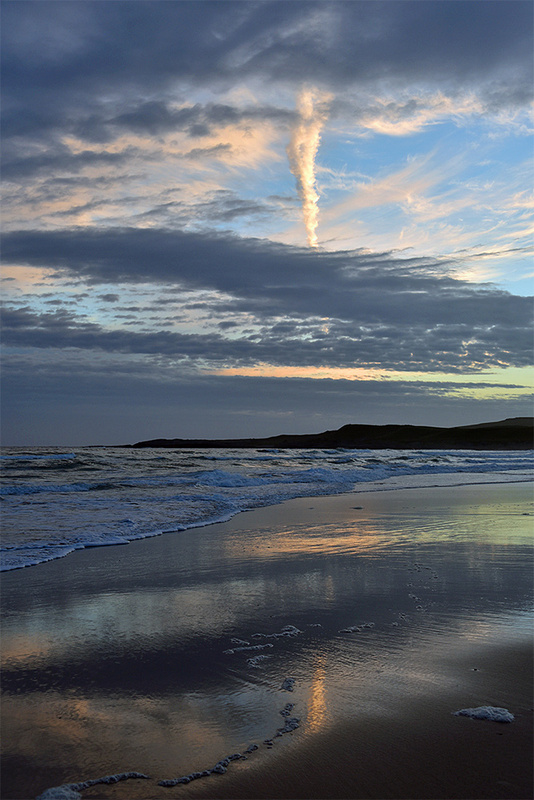 The clouds created a variety of mild colours, reflected on Kilchoman beach. This entry was posted in Beaches, Cloudy Weather, Landscape, New Post, Sunny Weather, Sunset and tagged Gloaming, Islay, Kilchoman, Machir Bay, Rhinns of Islay by Armin Grewe. Bookmark the permalink.